UPDATE: Ali was adopted! This stunning girl is named Ali. 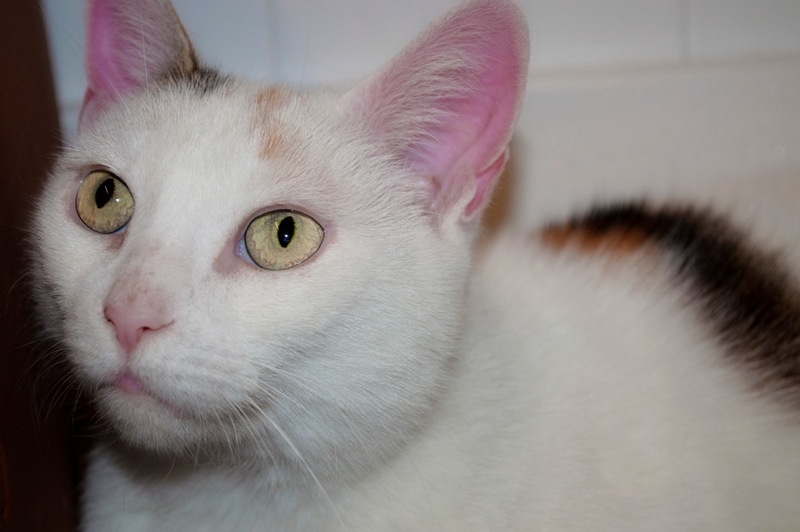 You can see from the picture that she is snow white with calico color on her head, but what you can’t see is that she has a calico spot on her side and her tail, from base to tip matches her calico head – such a unique looking girl she is. Ali was found wandering alone in Dunnellen and was brought to the safety of the shelter. As soon as we met this girl, it was love at first purr. Ali is so happy to have the volunteers talk to her, pet her, brush her, just about anything that involves Ali and company is A-OK in her book. Ali would love to have permanent company in her very own home, would you?